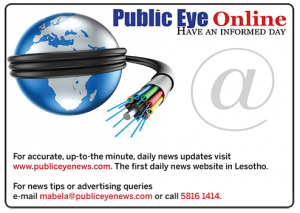 MASERU – Prime Minister Thomas Thabane will not abandon the All Basotho Convention (ABC) to form a new party, as doing so would be akin to committing political harakari, his daughter Adv. ’Mabats’oeneng Hlaele said yesterday. In an interview with Public Eye, ’Mabats’oeneng said although Thabane was impulsive and rather unpredictable, she reckoned he was too tightly glued to the ABC to leave and start something new elsewhere. Besides, she said, those surrounding him lacked the chutzpah to brave the political elements and put in the hard work required to form a party. “Maybe it’s wishful thinking. But I have a hunch that Ntate Thabane will not let his party go just like that. He is someone who believes that in life you carve your own niche and earn your keep. He’s 80 years old and I don’t see him jumping ship and forming a new political party. “If he forms the party, with who? Who has what? You know, when he crossed from the LCD in 2006, he crossed with people who had convictions, besides that they didn’t have much. All they had were convictions, strength and grassroots,” ’Mabats’oeneng says. “But the people he is with now, they might have a vision. But they don’t have roots and they don’t have a passion. Let him cross with some of those people we see today, it will not last for two months. She adds: “Those people around Ntate Thabane are lacking in calibre compared to those I have mentioned. It’s unfortunate if it’s true that they have convinced him to abandon his dream. There’s no calibre in there”. But she says because Thabane is by nature “as unpredictable as I am” he might surprise many by deciding to “put his foot down and be the Tom we all know”. “All I know with my father is that it’s a recurring circle and when it ends, it ends. When Tom ends we don’t know when he ends, why he ends and what triggers it. But when he decides, no one can stop him. “Ntate Mosisili never thought that Ntate Tom would leave LCD. People are never aware when Tom has had enough. That’s why they don’t believe it when he finally bursts,” ‘Mabats’oeneng says. “And, Tom does not make any fanfare when leaves. He just ups and leaves, when he knows he has entertained something long enough. And people don’t understand when I tell them that. “They think I am threatening them because I think I know him more than they do. Tom will entertain wrong to a point that whoever is doing wrong will start believing they are right. She concludes: “So when I say I have a hunch, it’s because I know that one day he is going to wake up and surprise many. He will not go on radio or hold a rally to make an announcement. “You guys will be hassling for his attention. He will be asking for the ABC office keys and will ask to see the new NEC. He will sit down and talk with them on the way forward and that will be it. It will not be influenced by talks because that’s not his style. Mabats’oeneng, says she is not fighting her father when she represents members of a faction led by deputy leader Prof. Nqosa Mahao which is locked in battle of wits with the premier’s camp. The 49-year-old who is married to new All Basotho Convention (ABC)’s disputed Secretary-General Lebohang Hlaele says her relationship with Thabane, 80, has nothing to do with the current political impasse in the ABC. This is despite her father firing her husband (his son-in-law) from his cushy post as Minister of Law, Constitutional Affairs and Human Right in February. ’Mabats’oeneng, who is the elected secretary of her husband’s native Qaqatu ABC constituency in Mohale’s Hoek district, told Public Eye the pair’s relationship is three-pronged: that of a mentor-mentee, father-daughter, and in the context of ABC, leader-activist. “We clearly understand the distinction between the three”. ’Mabats’oeneng also believes that despite the factionalism tearing the ruling party apart, exacerbated by a prolonged court case whose core is the fight over control of the 12-year-old party, it’s survival hinges only on “Tom (Thabane) becoming the Tom we all know”. “Being asked why I am fighting my father is wrong because it presupposes hostility. “The use of the word fight presupposes that there is a fight. It is confusing to me because I don’t know in which respect I am fighting him. The fact of the matter here is that there’s a litigant who went to court and that litigant asked for my services and I agreed because I was not conflicted in the matter, in the sense that my father is not even a litigant. So to say I am fighting him is altogether wrong because he is not part of these proceedings,” ’Mabats’oeneng says. “I am not even representing Lebohang Hlaele because that’s the premise from which people would look at this situation. I am representing ’Matebatso Doti and Montoeli Masoetsa from the Lithabaneng constituency. “To me it’s not a question of sides. It’s as good as asking me why I am representing a criminal and the answer to that question would be that I am a lawyer. 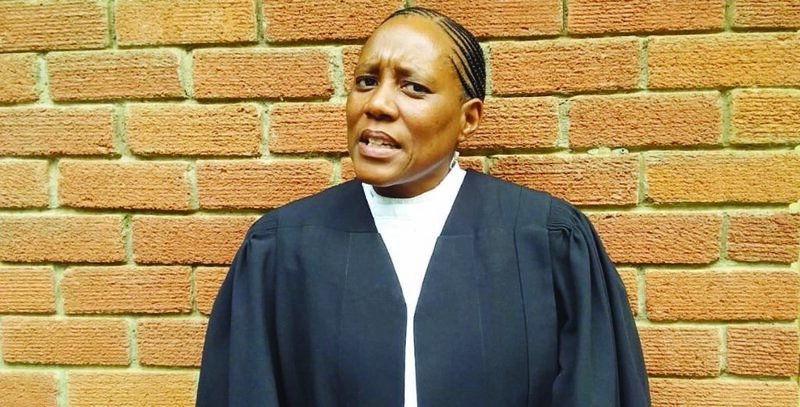 ’Mabats’oeneng adds she took the case solely as a legal practitioner but since perceptions are hard to kill “all one can hope for is to manage them”. “One cannot fight perceptions. You can only manage them. You can manage them by having a one-on-one conversation with somebody. 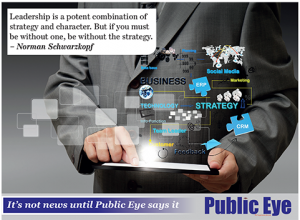 “You can manage them by having the privilege of a journalist coming to you and hoping that it will reach the public. Some people will read my answer and still stick to their perceptions that I am fighting,” she says. “I am not fighting. I wish also that people can stop using the word Likatana (name used to refer to the anti-Thabane faction after he labelled Mahao a rag while addressing his Abia constituency rally weeks ahead of the party’s February 1-2, 2019) because it is shameful considering the calibre of people in that committee, the calibre of their followers and the calibre of our party. “In any litigation there are two sides. People will have perceptions based on that. But the truth of the matter is that I was approached as a legal practitioner and asked to represent a certain litigant. “I am a member of the ABC and I would never say I wasn’t. I am also the elected secretary of the Qaqatu constituency committee. We don’t appoint people in this party. I ran for a very tough election. “Yes, I was opposed and I came out with huge numbers. I am very happy that it was a very tough competition which I enjoyed because it makes me better as it allows me to gauge myself. And, this will take you to why I am where I am politically,” she says. ’Mabats’oeneng does not take kindly to the warring ABC sides being referred to as factions, adding it creates the impression that the party is split down the middle. “I don’t like the word factions because it presupposes that there is two ABCs. It’s just two people who have a dispute over something. As far as I know, there are no factions in the ABC,” she explains. “Let me give you the history of this. There will always be slates when there’s an election. It’s not new to ABC. And during the time of the campaign, the only slate that went to Qaqatu and approached them and asked them to vote for them was the Mahao camp and they made their presentations before the committee. “When it was time for us to go to the elections, then the same slate came and made presentations before some of the delegates,” ’Mabats’oeneng says. “Now when we sat as the Qaqatu constituency, we had to decide whether we were going to the elections as a group or as individuals. And, members also raised a pertinent concern that since the campaign started, it had always been that slate (Mahao’s) that came to us. “How then do we vote for people we have not heard? How do we vote for whoever is standing for this position when he has not come to us to seek our support? Hence, she adds, it was imperative that people should learn to divorce her legal profession from her political activism and identify with her as the Qaqatu constituency secretary. “So, coming from Lehakoe, taking off my bibs and whatever I wear to court, and putting on my yellow ABC regalia, then I am perpetuating the message that Qaqatu sent me as the secretary. “You will understand then that as Qaqatu we align with the outcome of the conference, not with individuals. Now it’s not about the people we voted for, because if it was about the slate, then we’d be dissatisfied with the outcome of the conference. But now it’s no longer about Qaqatu but about what the people of ABC have said,” she says. “We did hold a meeting as the Qaqatu constituency after the conference, where we interrogated what was going on and what our stance was. While it confuses her that people consider her to be on the warpath, ’Mabats’oeneng notes that she believes in the truth and in telling it like it is. “I am a very direct person who tells it like it is. When I do something, there has to be a purpose for which I am doing it. “For instance, on May 1, 2019, we are holding a rally in the Qaqatu constituency because our SG, our former candidate, is also a trade unionist hence we decided to go there and celebrate with him on the day ‘to say here’s our man’,” she says. Asked if the situation in the party has had an adverse effect on her relations with her father, she says their relationship is “still very much intact”, although they had grown apart a bit after getting married to their respective spouses “at around the same time”. “I have three relationships with my father. I have a relationship where he’s my father. We have a relationship where he is my leader and another relationship where he’s my mentor. Those relationships are intertwined but distinct. They, in rare moments, come together,” Hlaele says. “From the early days of the LCD when he noticed that I liked following him around, he made it clear that when we were at rallies, he was my Abia constituency MP. “So, that father-daughter thing now had somebody interfering with his love. Now it’s not the same type of love. “On the other hand, he gets married and we no longer have those day-to-day one-to-one conversations. Well, we still do but they are not as intense because I have my family now and he has his. And you know how it is with new families,” ’Mabats’oeneng says. There has been mounting speculation that this week’s announcement that the Court of Appeal will not convene for its April 2019 session on Monday next week as had been previously scheduled, is as a result of the ABC infighting. critics say the pro-Thabane side engineered the apex court’s woes fearing that if they lost their case in the High Court, the apex could rule in favour of Mahao’s camp. However, asked what her take is on the apex court’s suspension, ’Mabats’oeneng refrains from responding on the basis that “that mandate has been left to the Law Society of Lesotho” to “say what our views are”. Despite fears that any court outcome could result in an ABC split and subsequent collapse of government, as already expressed by Thabane and Mahao while addressing their different rallies, ’Mabats’oeneng remains optimistic that Thabane can still bring the situation under control. According to ’Mabats’oeneng, she does not see a seasoned politician like Thabane, who has worked hard to build the ABC from scratch, “allowing his party to just split like that” adding “I don’t even see him jumping ship to form another political party”.